1. More Renters, Less Risk for Wall St.
3. Prosecutors Wrestling With Wall Street’s Repeat Offenders. Banks keep committing crimes, giving the Department of Justice new opportunities to hold them accountable. Will they? 5.Are Banks Too Expensive to Use? by Lisa Servon, speaker at Alt-B earlier this year. Check cashing services and payday lending rip off the poor, but banks are sometimes worse. 6. New book Hand to Mouth by Linda Tirado about what it is like to be poor. Written about the US but naturally getting ignored here because we don’t acknowledge poverty or blame the poor for their plight. A subdued interview: Linda in her own words. “downward mobility is like quicksand”. And one where Linda let’s her anger out at the London School of Economics. 7. This is what class warfare looks like.Plutocratic Class Warrior Stephen A. Schwarzman: Public Impoverishment When Such An Individual Gains The Economic and Political Upper Hand? 2. Behind Private Equity’s Curtain Public pensions paying large fees to private equity firms for mediocre results. 3. Fed spotted JPMorgan ‘Whale’ risks years before scandal -inspector but did nothing. Goldman Sachs is not the only megabank that the NY Fed defers to. 4. Poor kids who do everything right don’t do better than rich kids who do everything wrong We do not live in a meritocracy. I know, you’re shocked. But good to see it well documented in the mainstream press. 6. Boston Fed has a conference on inequality — they think it is a problem. Janet Yellen gave a good keynote. Remarkable speech coming from the Chair of the Fed. Can you imagine Larry Summers giving a speech like that? Good to see some policymakers are concerned about this. 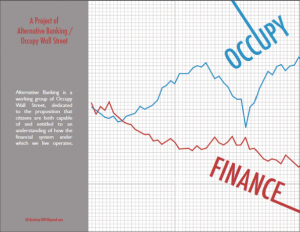 I think Occupy and Piketty deserve some credit for this. But, to make progress, we need a lot more. Hello Congress? 7. Legislators are listening to bank lobbyists, not poor borrowers. States Ease Interest Rate Laws That Protected Poor Borrowers Where are the poor’s lobbyists? 8. When Iggy Pop can’t live off his art, what chance do the rest have? A new reality of ’no one wants to pay’ has tripped him up and it’s the same one shafting artists all across the world. …what is when the government works somewhat more efficiently than in the US and the public values social good. 11. Wall Street’s Worst Nightmare: Elizabeth Warren As Hillary Clinton’s Treasury Secretary…really? Fictional character Ernst Stavro Blofeld who implemented a plan to steal nuclear warheads and extract ransom. Real character Paul Elliott Singer who implemented a plan to use defaulted bonds and US courts to drive Argentina into bankruptcy and extract ransom. Our friend Marni, ‘professional protestor’ was written up in the NY Times in connection with the protests at the World Business Forum. It’s increasingly hard to escape the sensation that the primary proprietors of the so-called sharing economy don’t so much share as take—from their users, from their contracted workers, from the localities in which they operate, by utilizing infrastructure that they do not contribute toward. It’s everybody else who shares. Collaborative consumption, the good, the bad, the ugly…how sharing can be fulfilling on community values or turn into a race to the bottom. – Amazon Must Be Stopped It’s too big. It’s cannibalizing the economy. It’s time for a radical plan. 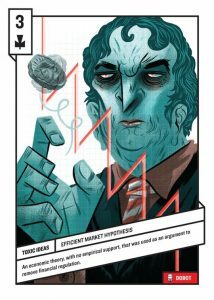 Monopolies, can manipulate prices without the need to provide quality or compete on innovation. Should they be state regulated or not exist at all? Is the government doing it’s job in the way the anti trust laws are applied to ensure economic health? Explanation of Vulture Capitalism – With middle-class net worth crumbling, the Forbes 400 grow wealthier than ever. Salon’s review of the review. Even if women are paid the same as men, this will not change the fact that institutional sexism exists at almost every level of society. – As Naomi Klein has argued (among many others), if we are going to address climate change and other pressing problems, we need new economic models. Fortunately, people have been working on these for decades. New Economy Week featured many exciting ideas, too many to list so please go to the site and look around. Here are just a few highlights. 9. AIG Trial: Hank Greenberg wants $41 Billion from the government because they didn’t treat him as well as they did all of the bankers. We certainly hope he doesn’t get it. But the trial is digging up all sorts of dirty laundry about the bailouts. But maybe we should be rooting for Hank. If he gets his money, does that mean all the rest of us can sue, too? If he deserves $41 billion, what does a family that was forced onto the street based on fraudulent documents deserve? 1. Minimum Wage and Overtime Protections Are Delayed for Home-Care Workers Forget $15/hour, or even $10.10. The paltry minimum wage of $7.25 is not required for nearly 2 million home care workers. Obama promises to close this loophole but it is being put off another six months. While the current government assistance is part of the problem, we need more direct government investment to solve it. 4. Bob Herbert on inequality – WNYC interview “The time may be right for a genuine popular uprising?” We hope so. 4a. “Wake-up Call“. Reflections of a US ex-patriot on the problems of American society. 6. Detroit Shuts Off Water to Residents but Not to Businesses That Owe Millions How you can help. 7. Bill Black on Moyers: A veteran bank regulator lays bear how Washington and Wall Street are joined in a culture of corruption. 8. Walmart cuts part-time workers from health benefits. Walmart spokesperson, Sally Welborn .says expenses “led them to make some tough decisions”. Apparently, a dividend cut was not one of them. “Welborn”, Dickens couldn’t have come up with a better name. 8a. With no sense of irony, Walmart begins marketing health insurance. 11a. Will this lead to more calls for a “Cyber War Council” and, if so, should we be more concerned about the hackers or the bankers? From the Week of September 28th – October 4th. Propublica article (which we note came out a year ago but no one noticed until the tapes came out. 1.a. Great commentary on how the press coverage of this scandal is part of the problem by Yves. 2. Naomi Klein: audio and article on Capitalism v Climate (Note: interview of Naomi begins 7 1/2 minutes into the audio). 3. Eric Holder’s Complex Legacy: Voting Rights Advocate, Enemy of Press Freedom, Friend of Wall Street: Democracy Now! Prosecution of whistle blowers, rather than the crimes they uncovered, was awful. 5. Detroit residents still without water. Judge refuses to intervene.